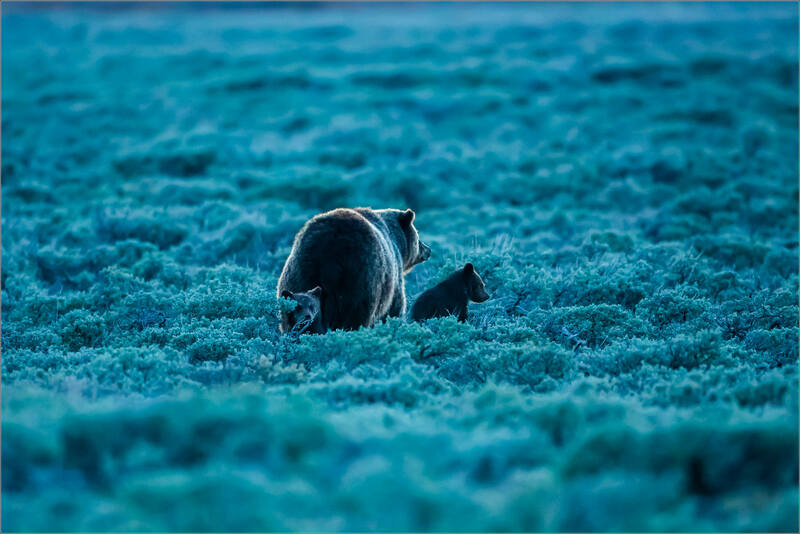 The second time I crossed paths with this family of Grizzly bears it was deep into dusk. 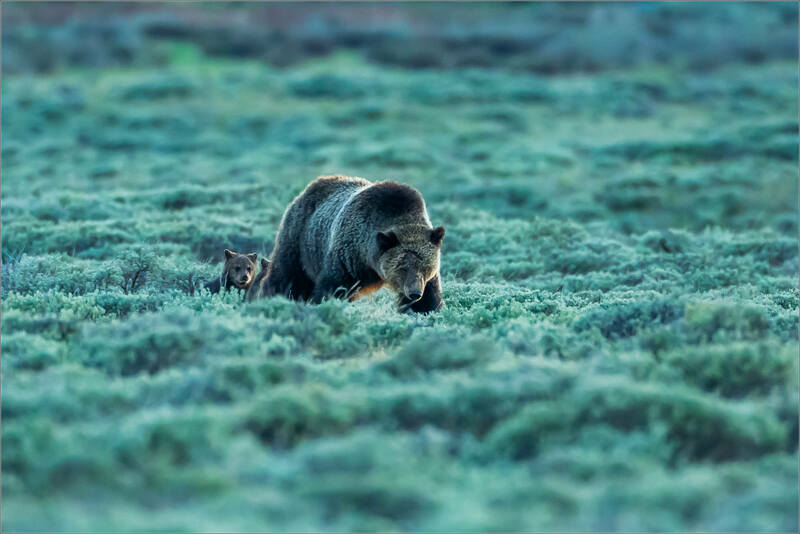 I spotted the mother in the hill above the Swan Lake Flat about an hour earlier but quickly lost her and the cubs in the rolling slopes as they made their way down. When they did appear it surprised me how close they got before I saw them. 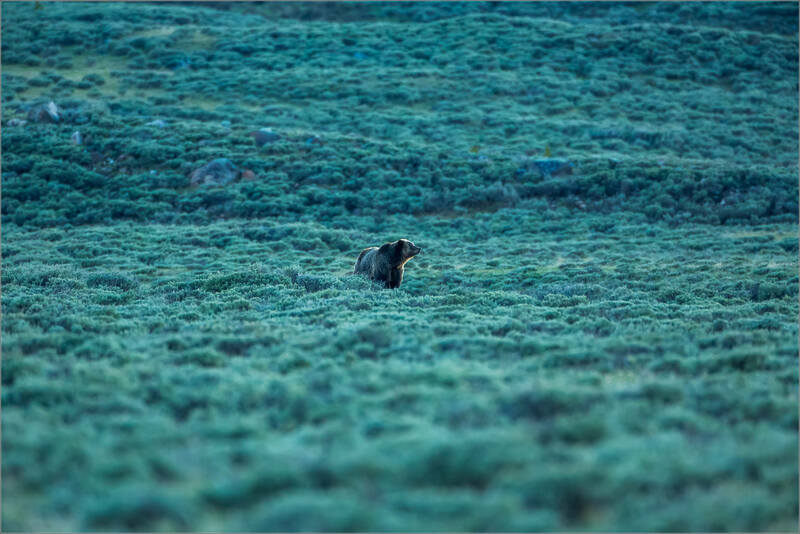 Knowing the size of an adult Grizzly, it showed me how high those hills are. 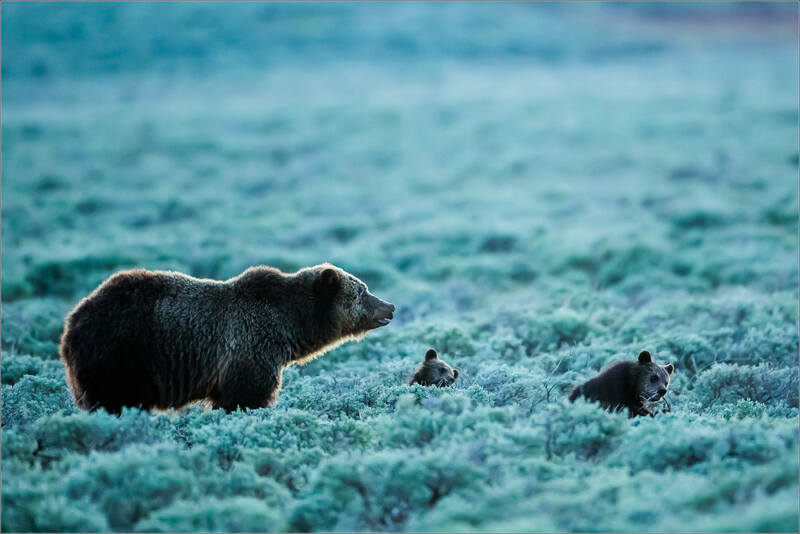 The trio walked and grazed, with he twins play fighting along the way, towards the Grand Loop Road eventually settling about 150 metres away. 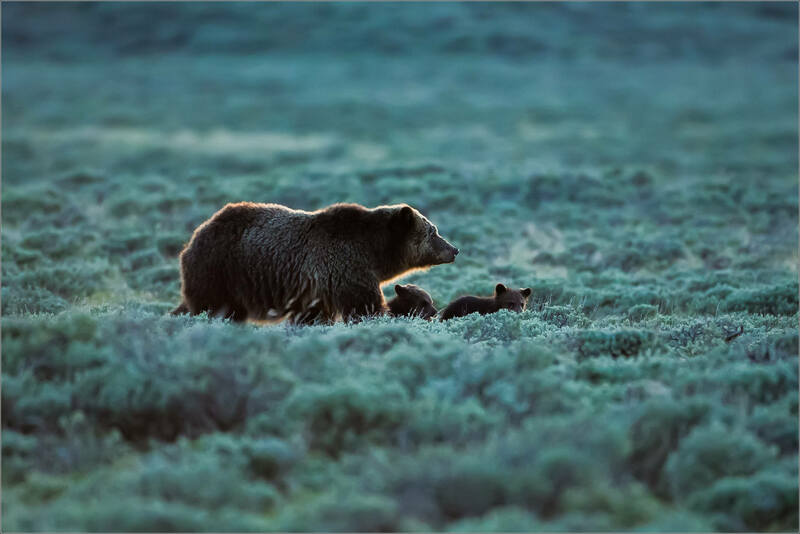 The failing light made photographing the bears a fun challenge. The golden halos created by the glow from the western horizon being caught by the hair in their coats was amazing. That alone was more than worth the wait. They moved parallel to the road for about 20 minutes before heading back into the hills. 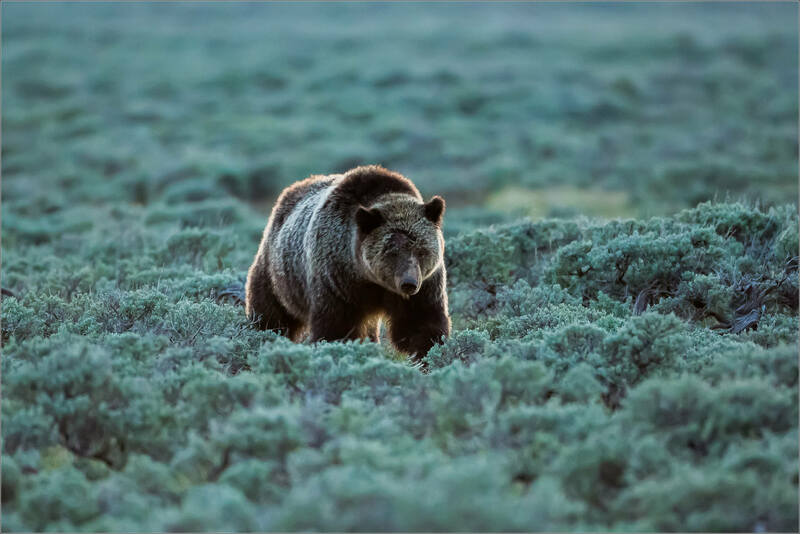 This entry was posted on June 28, 2016 by Christopher Martin. 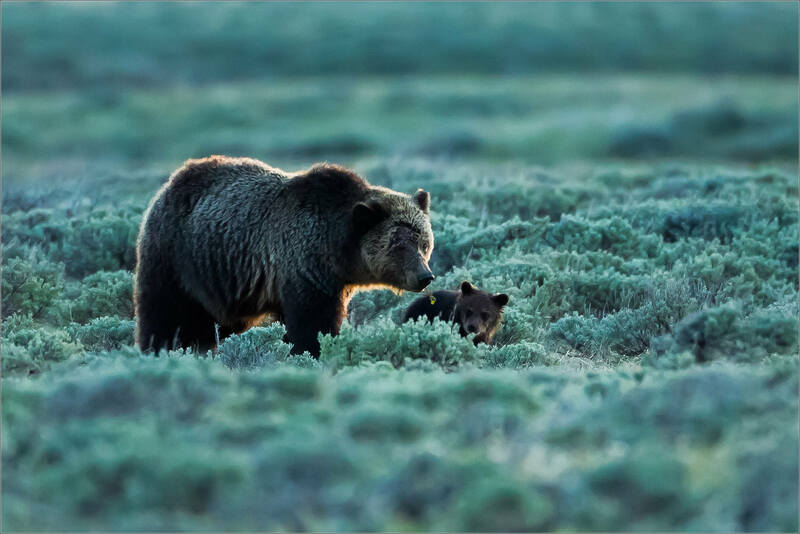 It was filed under Animals, Bears, Wildlife, Yellowstone National Park and was tagged with animals, bears, cubs, grizzly bears, nature, Swan Lake Flat, USA, wildlife, Wyoming, Yellowstone National Park. What an amazing experience! What kind of camera was used? Hi Grace – I use Canon dSLRs and lenses. These were shot using a 5D Mark III camera. Great high ISO capability so it is my current go to for early morning and late evening shooting. Have a great day! Fantastische beelden en een mooi verhaal. What a cool picture..really a nice one!! What amazing captures. 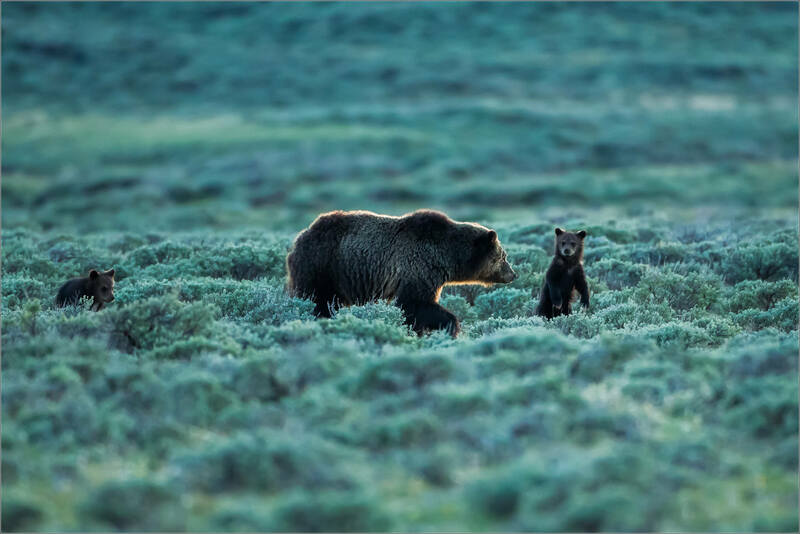 I’ve never seen a bear in the wild, to see a family of them like this would have been pretty special. Awesome pictures! What a blessing to see something so powerful so closely. Thanks for sharing! I am sure you used a zoom lens​e on this shot but it stll seems to close for my comfort.